After the Arab uprisings in 2011, the Saudi government tried hard to stop people disagreeing with them. They get a lot of money from oil, so they gave away millions of dollars in benefits, job opportunities and other welfare services. Then they put hundreds of peaceful activists in prison, and flogged or executed many; many still face the death penalty. They brought in new laws against terrorism and, in 2014, made many things illegal eg. demonstrations, criticizing the king, or communicating with foreign media without government authorization. But they haven’t stopped many activists. Activism has moved to social media. Some activists want political change. Others simply want to make living conditions better. Many lawyers, academics and professionals want a different political system. They want people to vote for the government. They wrote a lot of petitions. But the government say this is revolutionary. The government says that the Qur’an is the constitution: a human-made constitution is against Islamic tradition. In 2013 several well-known activists were sent to prison for 10-15 years and not allowed to travel after that. These included judge Sulaiman al-Rushoudi, and the professors Abdullah al-Hamid and Muhammad al-Qahtani. The government quickly sent the lawyers defending them to prison too eg. Waleed Abu al-Khair and Fawzan al-Harbi. And young activists who talked about this on social media were also sent to prison. But there are many other young online activists who don’t use their own names and tell people about what is happening in prison. They run internet campaigns to free the reformers and share reports written by Amnesty International and Human Rights Watch. These people who want a change of government have clear demands. 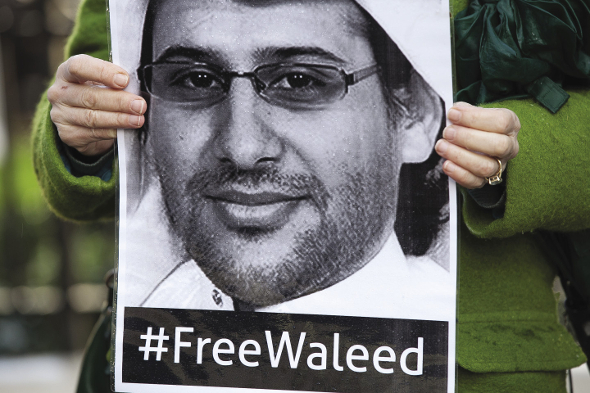 Most are now in prison because of their activism, but many young Saudi activists listen to their lectures, in Saudi Arabia and other countries. The government said they were fighting terrorism, but they used the 2014 laws to send peaceful reformers to special courts for jihadi terrorism. The reformers were peaceful eg. using sit-ins, and hunger strikes. But the government thought they were more dangerous than violent jihadis because they gave people a new political vision. Sheikh Salman al-Awdah was impressed by the peaceful ‘Arab Spring’ protests. He started to disagree with the government about having US troops in Saudi in the 1990 war with Iraq. He was in prison for several years, then he came out to preach. Sometimes he asks for fair treatment of prisoners of conscience eg. in March 2013, in the trials of the constitutional reformists. Like most Saudi activists, al-Awdah is active on Twitter. Many people see his lectures, video clips and sermons in Saudi Arabia and around the world. He has over 1.5 million followers; the government watches people like him carefully. Other activists work on things like youth unemployment, low salaries, housing shortages, bad urban infrastructure, and the corruption that is everywhere. Many Saudis say that their country has a lot of oil, so they must make welfare services better and share the money. Qatar and the United Arab Emirates have a better quality of life because the governments do more for education and health. Saudi activists often show very poor schools and hospitals on YouTube. There is not enough housing, and senior royals often take land. Young citizens show on the internet the many barriers around very large plots of land that princes have bought. Occasionally, local people try to stop the government clearing land and forcing people who live there to move. Women are very much controlled by men. But recently, Saudi women have become braver and have demanded more equality. In December 2015, for the first time, Saudi women could vote and stand as candidates in municipal elections. But many women did not vote, maybe because many Saudis do not believe the municipalities have much power. Women are still not allowed to drive, even after many online campaigns. Women activists chose October 26 2013 as a day to go against the ban. But there were not enough other women who wanted to take the risk. Several women who drove that day eg. Wajiha al-Huwaider, Manal al-Sharif and Lujain al-Hithlul, were sent to prison. On 1 December 2014 Lujain al Hithlul drove her car from the United Arab Emirates to cross the border to Saudi Arabia. She was arrested at the border and kept in prison for 73 days. Maybe the dissidents with the best organization are the Shi’a minority of the oil-rich Eastern province. Since the late 1970s, Shi’a activists have been demanding real equality. In 2011, 20 young activists died in fighting between security forces and Shi’a protesters. After a lot of protest, many Shi’a clerics were sent to prison. The most famous was Sheikh Nimr al-Nimr. They accused him of organizing protests between 2011 and 2013 and gave him the death penalty. They executed him this year with 47 other prisoners. His young nephew, Ali, arrested when he was 17 after being in an anti-government protest, was sentenced to death by crucifixion and beheading in 2015. Shi’a activism is mostly only in Shi’a areas. The government says it is an Iranian conspiracy against the Sunni kingdom and many Saudis accept this. It is difficult to see how Saudi Shi’a can overcome their isolation now and connect with the rest of the country. So activism in Saudi Arabia is not very organized. It might seem that it is not capable of getting real political change. But more people are disagreeing now. And there is new media to show people other possibilities. The government also uses the new media to threaten people, share their stories and say things against activists. There are many big arguments eg. on Twitter. Even some of the princes say they are not happy on Twitter. One person, with the name of Mujtahidd (@mujtahidd) shares stories about important princes, showing the corruption. 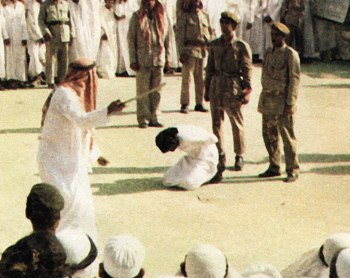 The Saudi activism now may not achieve anything. But there are clear signs that citizens have now started to disagree. Maybe a small spark will start big challenges to the leadership. Then the government will not be able to control all the people who disagree with them. Madawi Al-Rasheed was born in Saudi. She teaches at the London School of Economics. Her latest book is Muted Modernists, Hurst 2015. NOW READ THE ORIGINAL, LONGER VERSION: http://newint.org/features/2016/03/01/saudi-activists/ (This article has been simplified so the words, text structure and quotes may have been changed).